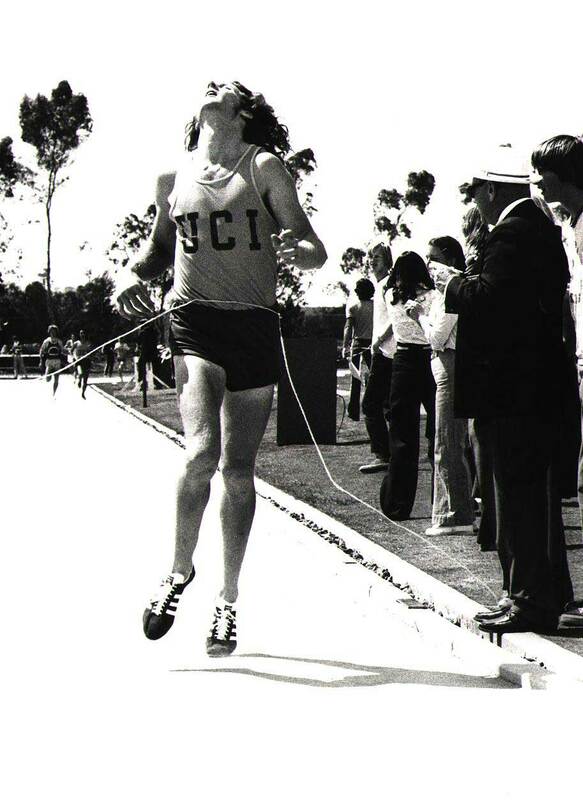 Steve Scott ’78 ran a 3.53.92 mile, the fastest in the world that year, at UCI’s fifth annual Meet of Champions in 1978. In February 1981, he set the American record for indoor mile run, finishing at 3:51.8. As a student, Scott was named an All-American athlete for four consecutive years and won the 1,500-meter title at the 1977 NCAA Division I Men’s Outdoor Track & Field Championships. In 1983, he was inducted into the UC Irvine Athletics Hall of Fame.